Free your mind with these beautiful romantic designs! 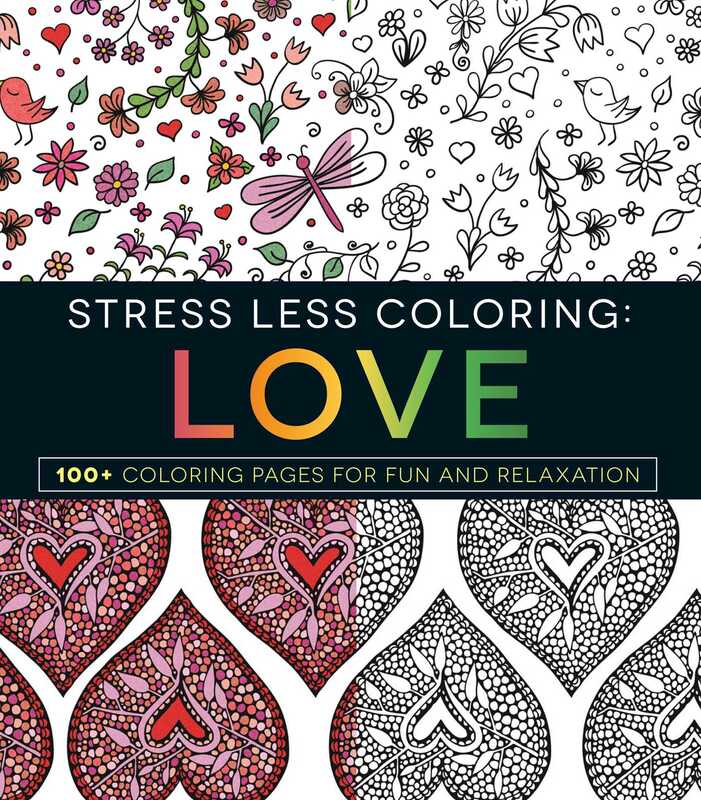 Stress Less Coloring: Love helps you relax and find calm in a fun and creative way. By concentrating on coloring and shading each of the 100+ patterns, from classic heart shapes to romantic, eye-catching stained-glass designs, you'll calm your mind and let go of any tension you may be feeling. Each stress-reducing page also invites you to express yourself as you use your own unique color palette to fill in the designs. As you bring color to paper, you'll shift your focus back to a relaxed state and enjoy each soothing moment. Whether you're new to the benefits of art therapy or have been coloring for years, you'll find your inner calm and creativity with Stress Less Coloring: Love.